admin, Author at TOUT WARS! With mounting evidence the ball is juiced (lower drag and huge spike in Triple-A runs using MLB balls this season), what measures should be taken by fantasy managers to best take advantage? Derek Carty (RotoGrinders, @DerekCarty): Obviously, a juiced ball means more runs — which is good for hitters and bad for pitchers in an absolute sense. Many fantasy players will just take a stab in the dark at mentally adjusting player values, I’m sure, or run around like Chicken Little and push all their chips onto the hitting side. There are ways to quantify this change, though, so it doesn’t have to be an imprecise exercise. Ideally, this is something that gets accounted for in the projections you’re using to assess player value. When I realized this was happening a week or so ago, I began upgrading THE BAT to be able to detect changes in the league run environment and — more importantly — to decipher at what point this type of thing “stabilizes” the same way we can decipher when individual player stats stabilize. This way, we’re aren’t over (or under)-reacting to a sample size of just two or three weeks. We’ve definitely hit a point where this looks very largely real, if the physics studies we’ve seen about drag coefficients and whatnot hadn’t already told us that. Once you have players projected within this new context, it should be fairly easy to re-calculate values and make moves accordingly. The biggest question is whether players will be impacted equally. Certain things are obvious; flyball pitchers will be hurt more than groundball pitchers. But will big raw power hitters be impacted less than moderate power hitters? Since all hitters will projected higher and all pitchers lower, does that actually mean hitting is worth more if the intra-position values are all still relative? These are the more interesting questions at this point, IMO. AJ Mass (ESPN, @AJMass): Assuming that this is indeed a trend and not just statistical noise, the fact that there are more home runs in the baseball universe means that each individual home run is slightly less valuable. Trading away someone like Jay Bruce-type whose early-season HR production has surprised for a Tommy Pham-type who will get you a few blasts along with a rarer stat (steals) is the way to go before the market self-corrects. Rick Wolf (Fantasy Alarm, @RickWolf1): Actually, it is what you shouldn’t do anymore that is the outcome of this. Don’t pay top dollar for home run production as it will be easier to get across the board and lesser hitters will find more balls going over the fence. Invest in starting pitchers who go deep into games to maximize your strikeouts and players who run. As of today, there have been 540 games played with 700 home runs already hit. At that rate, there will be 6,300+ home runs hit which would eclipse the 6,015 hit in 2017 by almost 5% and crush last season’s 5,585 by 13%. Mike Gianella (Baseball Prospectus, @MikeGianella): Hitter value is skewed even more toward the stolen base and batting average (we talk a lot about the former and way too little about the latter). For pitchers, middle relievers are even more vital than ever to protect your ratios. In deep leagues, use MRs over SPs when you can. In shallower formats, work the wire on starters and don’t be loyal to any but the top 15-20 overall. Michael Rathburn (Rotowire, @FantasyRath): I agree with Gianella on the SB/BA front and MRPs becoming more valuable. James is also on point with targeting the weak offenses for pitching. I look at the lefty/righty team splits and who has the lowest ISOs to stream against. James Anderson (Rotowire, @RealJRAnderson): We have to be more careful than ever before when it comes to sitting decent pitchers (Steven Matz types) against the top offenses, and we have to be more aggressive than ever when it comes to streaming pitchers against the worst offenses. I’ll start almost anyone against the Orioles, Marlins, Tigers, Indians, Giants, Royals and Pirates. I’ll also start almost any righty against the Blue Jays, and going after the Rockies and Reds on the road seems like a valid strategy at the moment. In order to avoid blow-up outings, it’s critical to roster at least one quality reliever who won’t get many saves but can be counted on for great ratios. Ryan Pressly and Adam Ottavino are long gone, but guys like Nick Anderson, Nick Burdi and Robert Stephenson are still out there in a lot of leagues. I think it’s too late to do much adjusting on the hitting side — it will require a ton of HR, RBI and R to be competitive in those categories, but it’s not like there are a bunch of sluggers sitting out on waivers that will help make up ground. Ariel Cohen (CBS Sports, @ATCNY): If the ball is juiced and players are hitting more homeruns … Let’s think about what effect that has on the hitters and pitchers. All offense would be up, but I would think that hitters who hit more fly-balls would benefit more – a couple of more balls hit in the air will fly out of the yard. Players who hit more groundballs, although a few more may go for hits, won’t see as large an impact from a flyout turning into a homerun. Projections who break down power into FB & HR/FB components may adjust FB hitters projections more favorably – and assign a larger value to them. Give a bump to FB hitters such as Hoskins, Gallo, K Davis, Carpenter, Kepler, etc. The opposite goes for the pitchers … the fly-ball pitchers would be affected more, so the groundball and strikeout pitchers (low FB rates) would now be worth more. Pitchers like Corbin, Godley, Arrieta, Marquez, Marco Gonzales with low FB rates should benefit. FB pitchers like Verlander, Scherzer, R Lopez, Cole, etc. should get dinged, and may see a higher ERA than projected. In terms of lineup construct, some low FB relief pitchers may now be worth starting as well. Brian Walton (CreativeSports2, @B_Walton): Until I see data that indicates the increased home run rate is inconsistent at a statistically significant level across different classes of hitters, I see no way to act on the offensive side. However, if data shows an increase among top hitters is greater than for lesser hitters, for example, then one can react accordingly. On the pitching side, it would seem to add value to sinkerball pitchers and decrease those who have fly ball tendencies. Now that I think about it, the same could apply to fly ball vs. ground ball hitters. Again, there should start to be enough data available to test this rather than speculate. Patrick Davitt (BaseballHQ, @patrickdavitt): Alex took most of my reply. The last time we had a juice ball effect, it was the Justin Smoaks who benefitted, not the Giancarlo Stantons. 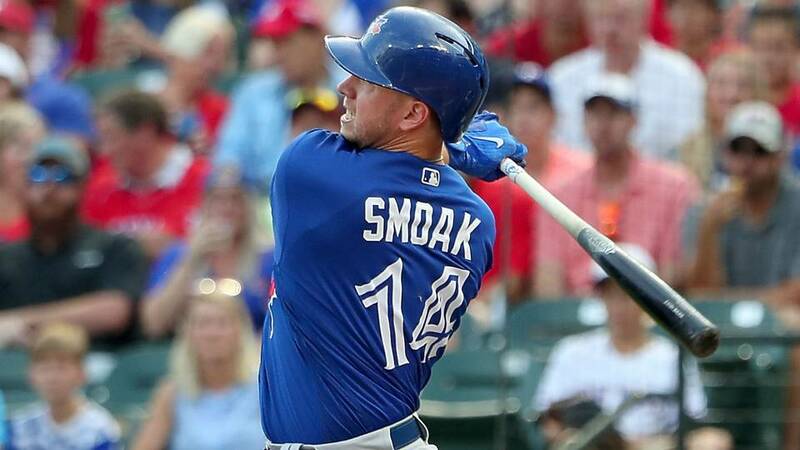 With Smoak, his wall-scrapers and warning-track outs nipped the extra 10 feet to sneak over the fence; with Stanton, the 430-foot blast became a 450-foot blast, but no extra points for added distance! If we had known this ahead of the season, obviously we all could have made adjustments to projected HR and the value of HR, so a few bucks would have moved from the Giancarlos to the Smoaks. In-season, I guess if there are owners in your league who aren’t aware of the situation, trade your Stanton for a pack of Smoaks (hee hee) that includes any kind of useful throw-in. The juice ball benefit will close the gap between Smoak and Stanton, so the throw-in gets a little extra added value. Larry Schechter (Winning Fantasy Baseball, @LarrySchechter): Is there any evidence that Tim Anderson’s legs are juiced? He’s on pace for 63 SB. Phil Hertz (BaseballHQ, @prhz50): I might try to move a homer guy for a base stealer, but at this point of the season in deep leagues, in which I mainly play, there’s not an imperative to do much adjusting . Todd Zola (Mastersball, @toddzola): To Anthony’s point, there was a study published on Baseball Prospectus showing less drag on the balls for the week tested, which would feed into the conditions. The piece warns it was one week’s worth of baseballs and there’s variance from week to week, but the drag levels were lower than anything measured last season and were in fact reminiscent of 2017. Chances are the reduced drag is working in concert with the early winds to boost homers. Gratuitous plug alert: I recently wrote a piece for ESPN determining the sweet spot where added fly ball distance should manifest in the most added homers. My filters were batters with a high fly ball rate, good contact and 2018 average fly ball distance within the optimal range. I tagged 16 batters and some honorable mentions. I’m working on a companion pitcher piece for next week. Howard Bender (Fantasy Alarm, @RotobuzzGuy): The obvious answer is to start dealing off your HR-only guys for more well-balanced players and grab extra speed while you can. If I think a guy who is normally a 15-15 player can pop me 20-plus with a juiced ball, then the sliding scale should be attached to everyone. Maybe Jay Bruce pops 35 again, but is he more valuable than a Tommy Pham or Michael Brantley? I’d even go so far ….sorry Lawr, but you know I love you…as to trade a Khris Davis for a guy with much less power on paper and a strong starting pitcher who doesn’t pitch to a world of contact. Derek VanRiper (Rotowire, @DerekVanRiper): I agree with Pianow, the pitchers who simply do not miss bats at a high rate but make value with their ability to log a lot of innings take a hit because significantly worse things are going to happen to them with the juiced ball. There are some streaming implications here as well, and if starting pitchers are getting hit harder, their innings will likely come down. With that, we might be wise to push strikeout-heavy, non-closer relievers even harder to pad ratios, as their collective impact might actually increase in 2019 as a byproduct of the more difficult environment as a whole. Glenn Colton (Fantasy Alarm, @GlennColton1): I may be in the minority here but I would not change anything. I plan to stick to my knitting, follow the SMART system and Rules of Engagement, look for good matchups, undervalued players and to rid my teams of players unlikely to turn it around. Jeff Boggis (Fantasy Football Empire, @JeffBoggis): I am relying more on more advanced sabermetrics and using this to my advantage in player acquisition through free agency and trades. For pitching metrics, strikeouts per nine innings pitched (K/9) and home runs per fly ball (HR/FB) provide me a way to see which pitchers are making hitters miss the ball, but also what happens when a hitter does make contact. 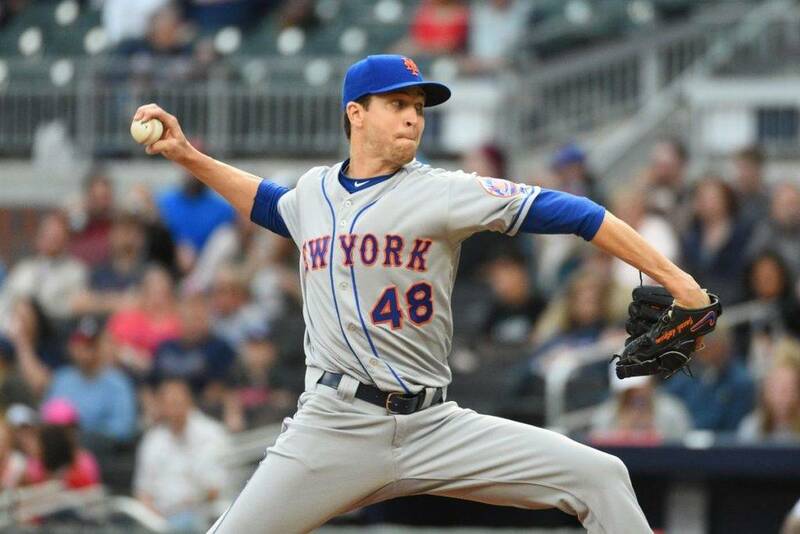 For example, Jacob deGrom (14.9) and Matthew Boyd (13.3) currently lead the majors in k/9, but deGrom has a higher HR/FB rate at .417 versus Boyd at .125, so I prefer Boyd to deGrom. I also like to view and increase in HR/FB rate for hitters and try to spot trends from last year to this year. I’m looking for hitters with a home run to fly ball ratio of 15% or higher. Jeff Zimmerman (Fangraphs, The Process, @jeffwzimmerman): I’m just going to pretend it’s 2017 (my memory is at least that good) and be careful with each matchup. The biggest change I need to incorporate is that the Triple-A teams are using this same high-flying ball. I used to bake in a little power boost when a player gets to the majors. Not, so much now. Charlie Wiegert (CDM Sports, @GFFantasySports): I’m not buying it! Younger, stronger, better in shape players are hitting the ball farther. It will take more homers than yet year to compete in the category, but more players are hitting them. Maybe this will stop the nonsense of moving the mound back! Ryan Hallam (Fighting Chance Fantasy, @FightingChance): I think this should change your strategy using your pitchers more than using your hitters. Chances are if this continues you will get more value out of your hitters than maybe you anticipated. However, now when thinking about using a two-start pitcher or perhaps a streaming option, the opportunity for it to really blow up your ratios (or grant you negative points in point based leagues) seems to have increased. Even guys like Steven Matz that are definitely rosterable couldn’t even record an out against Philly the other night. Perhaps your hitters that are off to good starts will stay performing well, but be more cautious of those pitching streaming options and really hold out for guys who are going against one of the more anemic offenses. D.J. Short (Rotoworld, @djshort): These are all excellent thoughts. Nothing novel here, but with each home run, your surprising power hitter is less valuable. Knowing that it’s easier to compete in that area in this current environment, it makes plenty of sense to consider cashing in on the headlines of that early production in order to upgrade in other areas outside of power. This could be stolen bases, as some of you suggest, or a hitter with an excellent approach who has been unlucky or underperformed so far. Pitching feels particularly vulnerable right now, but I’d probably look at things like swinging strike percentage and soft-contact rate as my guide as far as a trade acquisition. Scott Swanay (FantasyBaseballSherpa, @fantasy_sherpa): I’m not sure how you’d take advantage of it, unless you have the proverbial crystal ball to be able to tell which waiver wire options at this point are going to transform into the 2019 version of Max Muncy. However, I would try to combat this trend by using as many of my reserve spots as possible on starting pitchers (which has the added benefit of cushioning the blow of the inevitable injuries), then playing matchups to as great an extent as possible to avoid obviously unfavorable matchups. Welcome to Week 3, the third week of Period 1. The common theme is choosing a lesser priced SP2 to afford an SP1. Here’s where the Touts landed. Pitcher: Pablo Lopez – Of the sub-7k pitchers, Pablo is the most talented and is pitching in the best park. He’s facing a solid offense in the Cubs, but it’s also an overrated offense with plenty of holes. He’s a little more expensive than Kyle Gibson and Reynaldo Lopez (both also solid options tonight), but at what may be the lowest ownership of the trio, he holds strong appeal. Hitter: Mike Trout – Much will be made of Christian Yelich after his hot start to the year and 3-HR night last night, but don’t let recency bias cloud your judgement. Trout is the FAR superior hitter. He’s in the better park tonight. He has the better weather. He’s facing the weaker pitcher. He has the more important RvL platoon advantage. And he’s only $300 more. It’s not a close decision. Trout is a must. Pitcher: Max Fried – Very impressive so far, against tough hitting teams, nice $8k price in a pretty lousy field. Pitcher: Shane Bieber – Like Gene, I like Fried, but tonight I’m a Bieber believer. He’s not a lot more expensive than Fried and has a longer track record. Hitter: Michael Conforto – Michael Conforto has been doing well over his last 10 games and faces a struggling Nick Pivetta. Hitter: Bryce Harper – Bryce Harper versus Matz. As well as Matz has pitched this season he is prone to the HR and Harper is in a great spot to go deep. Pitcher: Shane Bieber – Tonight, I have Bieber fever, especially at a DraftKings price of only $8,600. Shane Bieber is averaging almost 20 fantasy points per game, but this number is deceiving. In his first outing, he had only 4.9 fantasy points. In his last two outings, he had 25.1 and 29.4 fantasy points per game. He’s trending in the right direction. On the season, Beiber is 1-0 with 17 strikeouts, an ERA of 1.80, and a WHIP of 0.67. Hitter: Javier Baez – It’s always nice to be occasionally start a member of the Chicago Cubs since they play a lot of their home games during the day. Baez faces Miami starting pitcher, Pablo Lopez. Lopez owns a 6.60 ERA, a 1.40 WHIP, and a 1-2 record through his first 3 starts. I like Baez at a reasonable price of $4,800 on DraftKings. Pitcher: Pablo Lopez – At home for $6,900, Lopez is a nice value against the Cubs. I’m treating this entry as a GPP lineup, and with a very limited supply of viable home starters higher up the price list, I want to take the chance on a young pitcher on the rise in a matchup that night scare enough people away to keep his ownership reasonably light. Hitter: Ji-Man Choi – If I were at Costco, I’d pay a six-pack of Choi at this price tonight. Dylan Bundy turns left-handed hitters into superstars, and Choi is another one of the hard-hit/barrel-rate darlings in Tampa Bay capable of turning an increased role into meaningful production. Stacking against Bundy will likely be popular, so I’ll probably limit my exposure to the matchup to Choi at this price, even if he’s relatively popular with the low price. Hitter: Stephen Strasburg – Strasburg surface numbers haven’t been great, but he’s faced the Mets twice and Phillies. The Giants are a weak offense with the second worst wOBA against RHP. Pitcher: Stephen Strasburg – Strasburg surface numbers haven’t been great, but he’s faced the Mets twice and Phillies. The Giants are a weak offense with the second worst wOBA against RHP. Hitter: Nolan Arenado – Arenado is heating up with homers in consecutive games and faces a LHP tonight. Pitcher: Nick Margevicius – One of the best bets in recent seasons is a southpaw opposing the Rockies in their home park. It’s even better when the park rhymes with SHMETCO. Hitter: Jorge Alfaro – Alfaro is hitting clean-up, with the platoon edge on the struggling Jose Quintana. I’ll take the savings and pair Margevicius with a stud. Pitcher: Nick Margevicius – He’ll be super-chalky tonight given his price-tag, but how do you not love this guy facing a Rockies team that can’t seem to consistently hit its way out of a paper bag and is striking out nearly 30% of the time over the last week? Hitter: Brandon Lowe – He’s hit safely in nine-straight games (three multi-hit games in his last five) with three homers, eight RBI and a stolen base in that span. Oh yeah…and he’s facing Dylan Bundy! HAHAHAHAHAHA!!!!!! Pitcher: Colin McHugh – In a league like this where there are so many great baseball minds, I try not to get fancy with the pitchers. McHugh has a good price tonight plus has struck out 22 players in 17 innings. When he faced Oakland on the 5th of April, he only struck out four, but he is safe to get 20 points and sometimes it is best to bank the 20 at a good price. Hitter: Trevor Story – Like all the RHHs in the Colorado lineup which will have the obvious Nolan Arenado in them too. Story is slightly less obvious but both hitters mash LHP. In 2018, he hit .326 with a home run every 14 at bats. The counting numbers were good too. He started 2019, with a strong .348 in just 23 at bats. Tonight both he and Arenado go yard. It’s on! Pitcher: Max Fried – Young lefty hasn’t given up a run yet this season. Doubt he extends that streak, but a solid effort vs. Arizona is certainly doable. 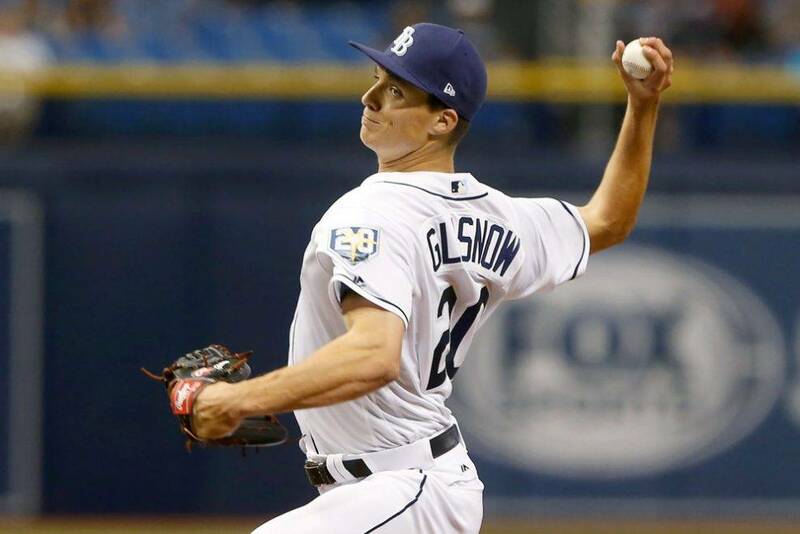 Pitcher: Pablo Lopez – I couldn’t really find a way to fit Glasnow AND Bieber in along with quality bats, and Joe Musgrove is not a part of this slate due to an early start, so I’m dipping down and taking a chance on Lopez. The results haven’t been good, but Lopez has a stellar 17:2 K:BB and 3.21 FIP. Hitter: Austin Meadows – Dylan Bundy has been more homer-prone against same-handed hitters in recent years, but lefties are still getting to him for close to two per nine since the start of 2018. I’m buying into Meadows’ breakout and will happily get back aboard this train in DFS even at a lofty $5,000 price tag. Pitcher: Stephen Strasburg – Flipping a coin between Strasburg and Tyler Glasnow…. nah, it’s a bit more than that: Strasburg is $3K cheaper and, despite Glasnow’s tilt with the Orioles, Strasburgh’s matchup is just as tantalizing. He’ll mow down the Giants. Hitter: Robinson Cano – Nick Pivetta allowed 1.52 HR/9 to LHB last season, and his poor early returns show he’s feeding that beast again. Cano ($3,700, hitting third) is mildly priced for such a promising situation at a hitter-leaning park. Pitcher: Jon Gray – I’ve also got Shane Bieber going, but I figured that is actually pretty common. Gray has had two good road starts this year and Petco is a nice venue to continue that run. Hitter: Austin Meadows – I think a lot of us are going to have Rays Fever and I see that Clay also has Meadows as his highlighted hitter. The logic here is pretty simple – Meadows is on fire against a pitcher in Dylan Bundy that is tater-rific. Here are the replies. Feel free to chime in with your take in the comments. Brad Johnson (Patreon/BaseballATeam, @BaseballATeam): I’m looking to acquire or trade away changes in talent before they become statistically obvious. I’m also looking to nab slow-start veterans, i.e. Carpenter and Goldy last season. This year, Josh Donaldson and Jose Ramirez top the list. AJ Mass (ESPN, @AJMass): I tend to preach patience. I drafted players (bought them via auction) for a reason, and I’m not typically going to change my outlook on these guys after a few cold weeks — both in terms of stats and the outdoor temperature, which often is a reason for slow starts. Now, when I lose Trea Turner to a lengthy injury, I might be more inclined to listen to offers, but since any deal I might make reacting to such a need is going to be from a position of weakness, I’m going to have to make sure I’m not getting fleeced. Jeff Boggis (Fantasy Football Empire, @JeffBoggis): I’m active, but the problem is that I can’t seem to find a trading partner that won’t try to take advantage of the trade deal. Take for example Chris Sale. I tried to trade for him, but the owner still values him as a 2nd round pick. I’m willing to give him 75% on the dollar, but he wants 99%. Not going to happen since I am the one taking on the additional risk. My advice in any trade negotiation is to first get on the phone and call, email, or text various trading partners to see if they have any interest in a trade. It will save you and other league managers a ton of wasted trade offers. Ryan Bloomfield (BaseballHQ, @RyanBHQ): I hang back and chill. Presumably, you drafted your team after months of offseason research; don’t toss that away after 2-3 weeks. Two exceptions: injuries and falling *way* behind in a certain category. If there’s an obvious hole in your squad (i.e. you drafted Mike Clevinger as your ace, you lost a closer or two), then it makes sense to be aggressive and patch those gaps before you fall too far behind. But if you’re mostly in the pack, relax and let things play out. A weakness can turn into a strength (or vice-versa) at a moment’s notice this early in the year. Doug Dennis (BaseballHQ, @dougdennis41): I am always happy to try to upgrade. I don’t think there is every a “wrong” time to try to make a trade, and earlier trades have more impact. But having said that, it is very hard to find someone panicking in the leagues I am in and no one is buying the crazy first two weeks of some player or selling their best player who had a bad start. Owners out looking to rip me off–forget it. I admit that I have not made any offers (yet). I have Vogelbach in Tout AL, if someone wants to make an offer! I need SBs and SPs. Ariel Cohen (CBS Sports, @ATCNY): I tend to look right after my draft to see if I have any positional or statistical imbalances, and attempt to make a low-end trade. A low end SS for a low end 3B, or a low end steals guy for low end power, etc. But if everyone drafted to their views, it will be tough to make major trades early on – as people are high on their own picks. If I am approached by another team, I will certainly entertain offers if I think that I can profit, but I won’t attempt anything major myself. The exception to that is an impact injury, if the waiver wire isn’t helpful. Perry Van Hook (Mastersball): There is a fine line between being patient with players off to a slow start and recognizing a deficiency that you might be able to fix better via trade than through free agents. The easiest and best trades to make early in the season are trading from a position/category of strength to correct a weakness with a team that has a clear match. Old school but I always prefer to have a conversation with teams in my league to see how they view their players/team and mine before presenting a trade offer – you will often get a better deal than the one you had in mind. Michael Stein (Fantasy Judgment, @FantasyJudgment): I am always looking to upgrade where I can and tend to target GMs with star players that are under-performing to see if I can buy low. I do not overreact positively or negatively to players’ performances over the first few weeks of the season, but I know other GMs do so I try and capitalize on that overreaction. Seth Trachtman (Rotoworld, @sethroto): Buy low, sell high. Unless there’s something apparent in the small sample size of stats that says the player has legitimately gotten better or worse, I try not to take too much from a couple weeks of data, one way or the other. Howard Bender (Fantasy Alarm, @RotobuzzGuy): I’m usually pretty conservative throughout the month of April. I’ll fill holes on the waiver wire, but don’t often feel it necessary to blow up the first 6-to-8 rounds of my draft this early. Once the calendar flips to May and I have a better read on my team and its needs, everyone is fair game. There is no player who is untradeable, though, obviously, prices vary. Also, instead of making my own moves, I often enjoy spending April talking fantasy newbies out of making bonehead deals. Phil Hertz (BaseballHQ, @prhz50): Everything is fair game. Just don’t try to buy low with me. If you’ve come out of the draft with an obvious gap; for example, steals. Why wait to fix it. Tim McCullough (Baseball Prospectus, @TimsTenz): I will listen to offers and leap if the price is right but I’m much more inclined to initiate and/or actually make a trade once April is over and I have a better idea of what my team needs most. Dr. Roto (Scout Fantasy, @DrRoto): I like to be patient for the first month or so of the season to see how the categories shake out so I can target my needs better. Rob Leibowitz (Rotoheaven, @rob_leibowitz): Early season I don’t usually go out seeking trades unless I have an injury concern, but am not opposed to trading at any time.. The best trades are typically the ones that come to you but hopefully also include an offer rather than something vague. Everyone wants to sell high/buy low but I rarely encounter those situations in actual practice. Most people stick to their guns early in the season at this level of play if they already have expectations regarding a player since they drafted or purchased them in the first place. Michael Florio (NFL Network, @MichaelFFlorio): I am looking to buy a player who has made a change before it really gets notice. For instance, Zach Eflin is throwing a cutter (according to some sites) and it has become his best swing and miss pitch. I have shot multiple offers for him already. Additionally, I look to jump on panicking owners. I loved Zack Wheeler coming into the season and he is still doing everything I loved. He still has his added velocity and throwing that new split finger, but because of one bad start where he had nothing, some may be panicking. Dan Strafford (FNTSY Radio, @DanStrafford): I generally despise trading at any point in a season. So many owners are so afraid of “losing” a trade that they become difficult to negotiate with and circular in offers. If I drafted a specific roster with intent of trading for a category later, I try to get ahead of the curve whenever possible. Ray Murphy (BaseballHQ, @RayHQ): I’m pretty hands-off, unless I’ve got an express need. In Tout Wars Mixed, for instance, I’ve got zero saves after 2 weeks. Safe to say I’m going shopping there soon. But I’m generally not aggressive about trying to buy or sell into hot/cold starts. Just not a predator by nature, I suppose. Patrick Davitt (BaseballHQ, @patrickdavitt): … I’m willing to listen, but I don’t expect much activity because most owners (including me) are usually waiting to see what they have as a team, what they have in the categories, and what they have from individual players. It’s hard to know those things with only a few weeks of games. That’s partly just common sense and partly a kind of ownership bias, but either way, it mitigates against early-season trading. When I played keepers, it was different, because dumping got going earlier and earlier to the point where trades were being made in April, but that’s only because the trades are not meant to be current-value-for-current value, so owners can are addressing two different sets of needs. Anthony Aniano (Rotoballer, @AAnianoFantasy): I’m willing to listen to offers and try to take advantage of an impatient owner who’s too eager to sell low. If an owner is willing to move on after 50 poor at bats or 3 poor starts i’ll happily take them for the next 500 at bats or 27 starts. Rudy Gamble (Razzball, @RudyGamble): ….I’m typically patient and using the waiver wire to upgrade the bottom of my roster and filling in for injured players. I will always listen to offers but it is hard trading early when managers still like most of their players for the same reasons they drafted them. 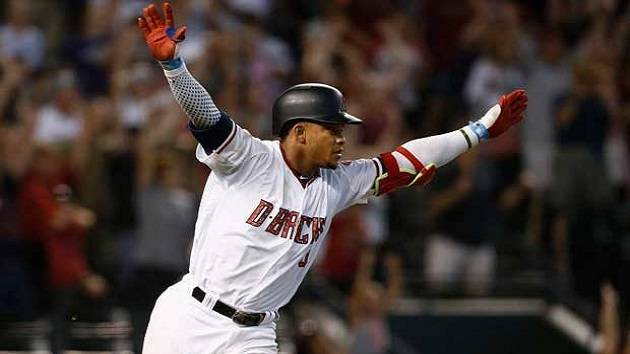 Justin Mason (Friends with Fantasy Benefits, Fangraphs, Fantasy Alarm, @JustinMasonFWFB): … I rarely do it unless if I know that I have a categorical weakness heading out the draft or if an early season injury cause me to have an unexpected weakness. Scott Swanay (FantasyBaseballSherpa, @fantasy_sherpa): . . . I generally pass. Unless injuries have left me with a glaring weakness that I can’t even begin to fill from the waiver wire AND I match up well with a potential trading partner who needs something I feel I can spare, I’ll stick to the waiver wire. One exception – if I see a league-mate with a player coming off the IL, I might offer them some FAAB for a player I like that they look likely to cut. Ray Flowers (Fantasy Guru Elite, @BaseballGuys): I don’t really participate much, though to be fair, I don’t think most folks in these industry leagues do. We all believe in “our players,” so we’re not likely to be selling them on the low, causing the dampeners to be put on a lot of potential early season moves. Brian Walton (CreativeSports2, @B_Walton): I listen and respond to every offer – same as later in the season. Even if the deal doesn’t make sense, keeping the lines open for the next proposal could pay off. Rarely does an early deal interest me, but there is no reason to limit one’s opportunity and risk being labeled as a disinterested trader and someone to avoid. This season, I’ve already been approached in a dynasty league in which I am rebuilding. The price I requested in return is high, but if the other owner wants the deal, it will get done. If not, no problem. Charlie Wiegert (CDM Sports, @GFFantasySports): I’m only interested if it looks like I’m going to miss my projections and I’m going to be short in a category. I’m not usually brave enough to trade for the upside from a player off to a slow start, but those trades could help the most! Glenn Colton (Fantasy Alarm, @GlennColton1): I am very hesitant to make an early season trade unless I can trade for a guy I liked a lot in March who is off to a slow start. The risk of overreacting to meaningless April standings is too great. Adam Ronis (Scout Fantasy, @AdamRonis): In general, I tend to be patient. Every team is different, though, and there are times where it’s clear a trade needs to be done. With so many injuries already, it might make sense to make a trade before you fall behind by too much. There are times where you know coming out of a draft you’re deficient in a category and a quick trade can help. Ryan Hallam (Fighting Chance Fantasy, @FightingChance): I like to be on the offensive. Trade guys off to a good start that maybe are overachieving. Try to get a better player that maybe didn’t hit the ground running. I don’t like to trade early if I’m struggling with guys I believe in. Early season trading is for taking advantage of hot starts, not for making up for slow ones. 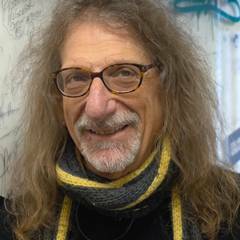 Larry Schechter (Winning Fantasy Baseball, @LarrySchechter): If you know that you have a need, and/or a surplus of something, don’t hesitate to trade. No reason to wait. And while it’s always nice to gain an edge, or buy low, sell high, a fair trade is fine. D.J. Short (Rotoworld, @djshort): I keep an open mind. After a few weeks, you generally have a feel for your roster and how things might play out in certain categories. Grabbing someone off waivers is possible and maybe even season-altering, but you can’t count on that happening or finding a player who matches up with category need. So it’s always wise to look at your strengths and see if someone if willing to cash in on a surplus. The problem is that it’s just too early for many to do that. Otherwise, I’m not really overreacting to much of what I’m seeing in the early part of the season unless playing time/role or injuries have significantly changed things from my preseason valuation. Derek VanRiper (Rotowire, @DerekVanRiper): I keep a very close eye on injuries for other teams in order to find trade partners in need. Most likely, the roster I built on draft or auction day doesn’t have perfect balance, so an injury for someone else could open the door for a productive dialogue that allows us to make a deal to improve both teams, as a gaping hole on a roster might lead another owner to give up an excess of something else I might need. Andy Behrens (Yahoo! Fantasy Sports, @andybehrens): …if the early results match post-draft expectations, I’m willing to trade at any time. No one should set a date before which they aren’t willing to deal. Mike Podhorzer (Fangraphs, @MikePodhorzer): I’m open to it and always willing to listen to offers on any player I own. I rarely seek out deals until at least a month into the season though, unless I’m in a league with a bunch of rookies who I think could fleece with some buy low offers. Al Melchior (FNTSY Radio, @almelchiorbb): I’m really averse to making deals. I want to give myself a chance to better assess players’ values for this season. I’m definitely more open to dealing if I’m lucky enough to have a surplus to trade from. Nando DiFino (The Athletic, @nandodifino): I’m all for it. Maybe a player I really like got swiped from me in the draft. Maybe a risk I took crashed and burned. Perhaps I just get restless. I think you can get better deals early on, too, because while owners have players they really may like, they also have a few they settled for, or grabbed late because they were bargains. For instance, I got Tim Beckham at the end of Tout because he was the best available player left. I think I had him pegged as UT or SW. If someone comes to me and needs a SS and wants to give me a Dylan Bundy upgrade… I’m all for it. Especially this early, when one player change can steer your team in a totally different direction. Todd Zola (Mastersball, @toddzola): I’m receptive but not usually aggressive. Injuries may force the issue, but I generally prefer to let things play out. That said, I don’t play in many leagues where there are panicking competitors. If you do, there’s nothing wrong with looking to take advantage. If you don’t, someone else will. Author adminPosted on March 28, 2019 March 31, 2019 Categories About Tout WarsLeave a comment on Gain Free Agent Insight from the Touts Each Sunday Night! 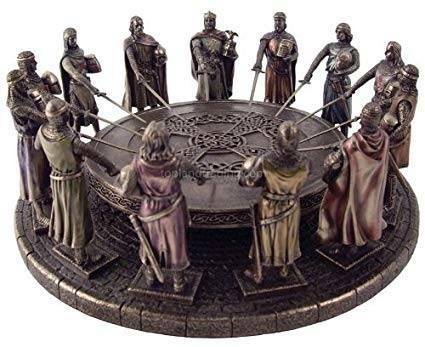 Author adminPosted on March 26, 2019 April 9, 2019 Categories About Tout Wars, Draft Results, Links, News1 Comment on Tout Wars Draft/Auction Linkfest!